Watch the Final @Divergent #Insurgent trailer “Stand Together”! We are getting closer and closer to the release of sequel to Divergent, Insurgent. 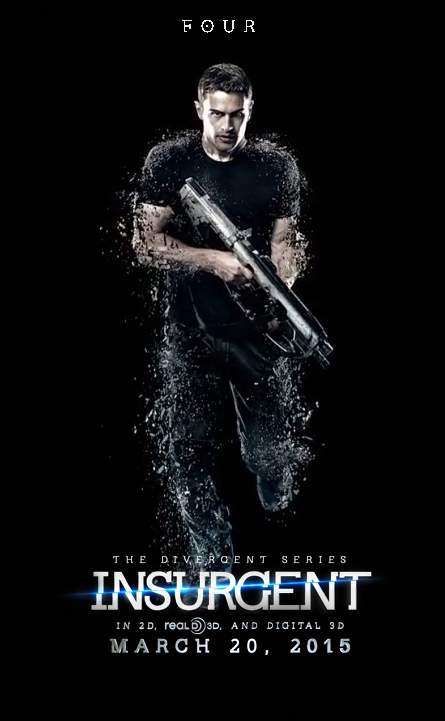 The final trailer for Insurgent has just been released. Insurgent opens in theaters on March 20. Tickets are now on sale. Categories: Insurgent, Insurgent Movie, Insurgent News, Insurgent trailer, Shailene Woodley, Theo James, Tris | Tags: Insurgent, insurgent movie, Insurgent News, insurgent trailer, shailene woodley, Theo Jame | Permalink. Watch Tris and Four “Fight Back” in new #INSURGENT Trailer #MoreFour! Initiates we did it! 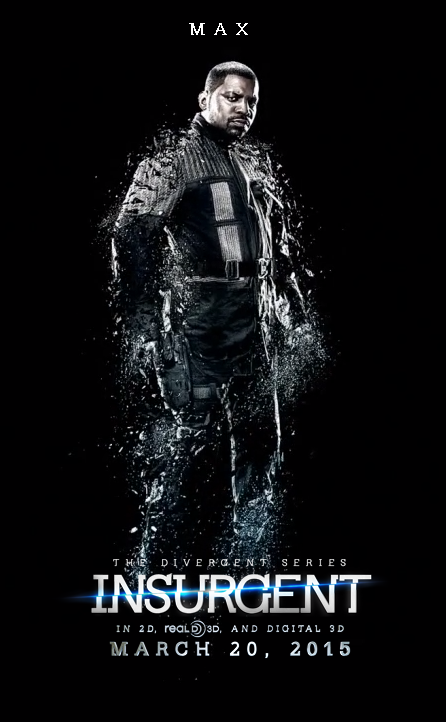 We helped unlock a brand new Insurgent trailer! 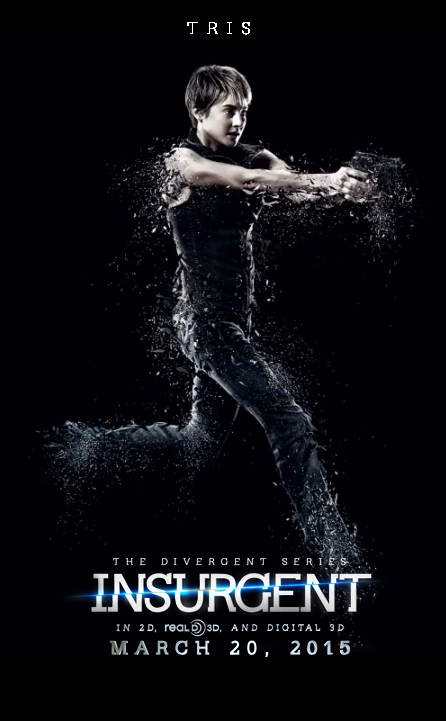 The trailer shows a whole lot of Tris and Four. It makes sense since we were tweeting #MoreFour. 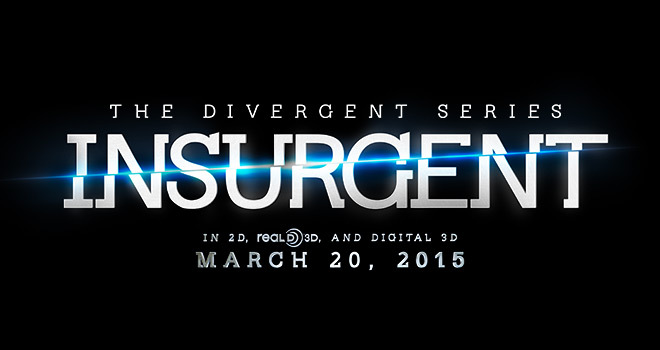 Insurgent surges into theaters on March 20! Categories: Ansel Elgort, Caleb Prior, Eric, Four/Tobias, Insurgent, Insurgent Movie, Insurgent News, Insurgent trailer, Jai Courtney, Miles Teller, Peter, Shailene Woodley, Theo James, Tris | Tags: Ansel elgort, Caleb Prior, four, Insurgent, insurgent movie, Insurgent News, shailene woodley, theo james, Tris | Permalink. See ‘INSURGENT’ Character Portraits Featuring Tris, Four, Jeanine and more + Interviews! Entertainment Weekly has just revealed 5 exclusive character portraits for Insurgent featuring Tris, Four, Jeanine, Johanna and Evelyn. EW also interviewed Shailene Woodley(Tris) and Theo James(Four). Head over to Entertainment Weekly to read the full interview with Shailene Woodley and Theo James. Insurgent hits theaters March 20 in 2D, 3D and IMAX 3D. Categories: Evelyn, Four/Tobias, Insurgent, Insurgent Movie, Insurgent News, Jeanine, Johanna, Kate Winslet, Naomi Watts, Octavia Spencer, Shailene Woodley, Theo James, Tris | Tags: Evelyn, four, Insurgent, insurgent movie, Insurgent News, jeanine, johanna, Kate Winslet, naomi watts, octavia spencer, shailene woodley, theo james, Tris | Permalink. WATCH: ‘INSURGENT’ BTS Featurette unveiled by @YahooMovies! We are getting closer and closer to the release of the Divergent sequel Insurgent. 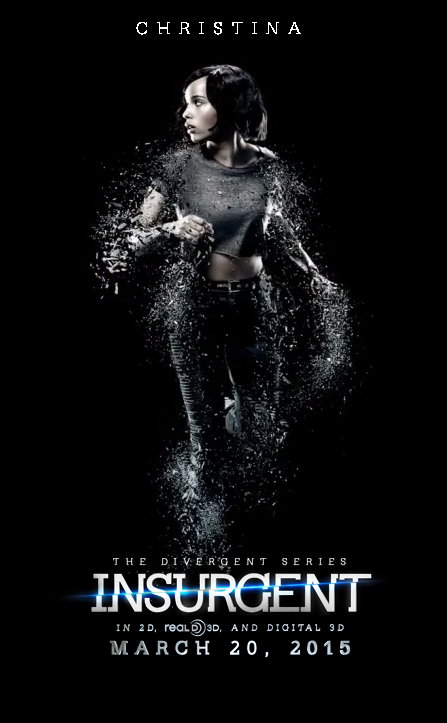 Yahoo Movies has exclusively revealed a behind the scenes featurette featuring Tris’ transformation. The video also features interviews with Shailene Woodley(Tris), Theo James(Four), Octavia Spencer(Joahanna), Kate Winslet(Jeanine) and more. Yahoo Movies also shared five moments that they thought were crucial in the featurette. Spider-Man. Batman. They have nothing on Tris. Instead of timidly falling off a tall structure, like she did during her Dauntless initiation inDivergent, now Tris is a building-hopping veteran, leaping like the pro parkour lady she has grown into. Has Tris’s mom (Ashley Judd) come back from the dead?! Seeing as she died in Divergent, we’re left to assume this fiery house of horrors is all in Tris’s mind. Tris is in perpetual motion. Need proof? Here’s plenty of visual evidence of Tris on the move this GIF. Turns out the peace-loving folks of Amity have good taste. Case in point: Their sleek community center features a living tree at its center. As with most book-to-movie adaptations, Insurgent condenses scenes and storylines to fit in its two-hour runtime. But no one’s quite sure aboutthe mystery box that first appeared in the film’s trailer and is not in the novel. “The box takes a lot of my favorite scenes from the book and puts them in the same place at the same time,” explains Divergent novel series author Veronica Roth in the featurette. We’ll just have to wait until the movie comes out to see what this secretive container is all about. Does this make you more excited to see Insurgent? Insurgent surges into theaters on March 20th. Categories: Insurgent, Insurgent Movie, Insurgent News, Shailene Woodley, Tris | Tags: Insurgent, insurgent movie, Insurgent News, shailene woodley, Tris | Permalink. 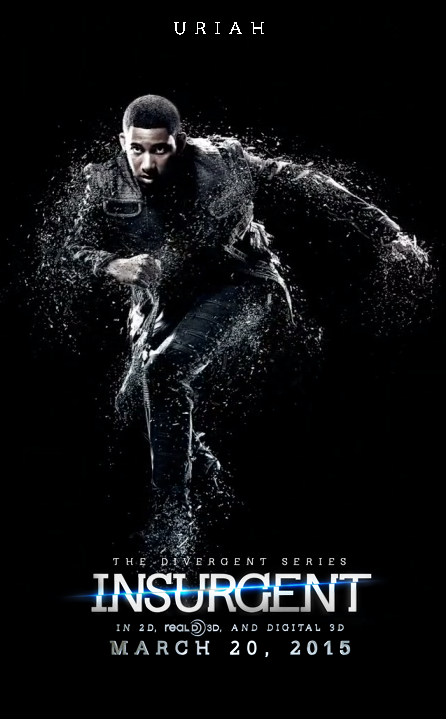 Yesterday Lionsgate unveiled eight character posters for the Divergent sequel Insurgent. 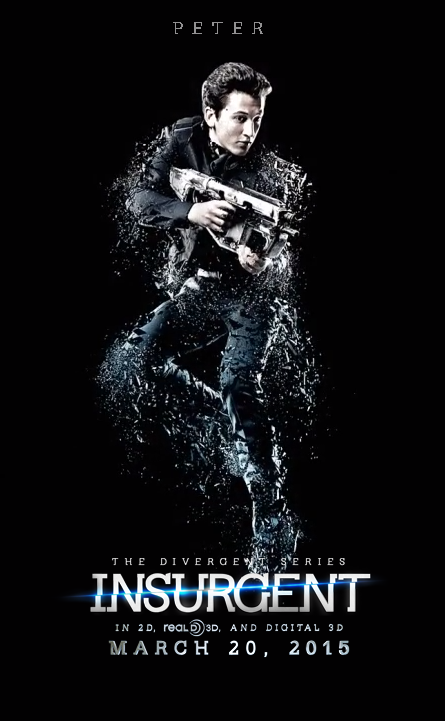 The posters are 3D interactive posters and they include Tris, Four, Tori, Uriah, Christina, Max, Peter and Caleb. 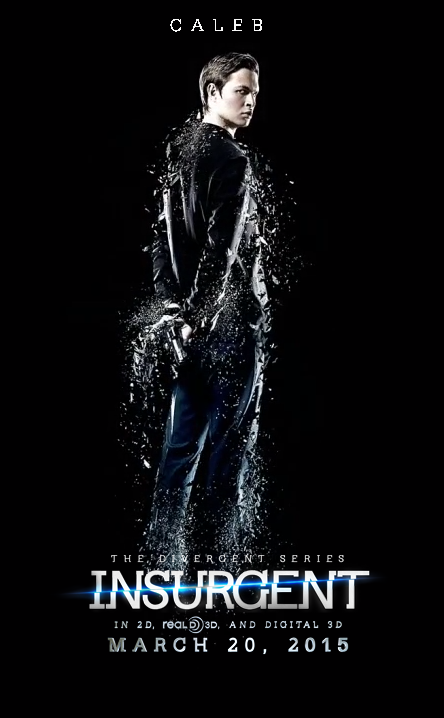 Head over to http://www.thedivergentseries.com/ to see the 3D interactive posters! Not only did Lionsgate reveal the first eight posters but they also announced that Insurgent will not only screen in 2D but also in 3D. Categories: Ansel Elgort, Caleb Prior, Christina, Insurgent, Insurgent Movie, Insurgent News, Keiynan Lonsdale, Maggie Q, Max, Mekhi Phifer, Miles Teller, Peter, Shailene Woodley, Theo James, Tori, Tris, Uriah, Zoe Kravitz | Tags: Ansel elgort, Caleb Prior, Christina, four, Insurgent, insurgent movie, Insurgent News, keiynan lonsdale, Maggie Q, max, mekhi Phifer, Miles Teller, peter, shailene woodley, theo james, tori, Tris, Uriah, Zoe Kravitz | Permalink. 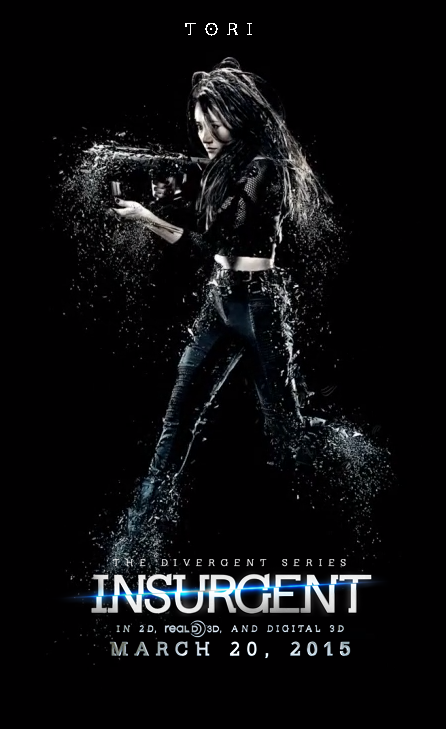 WATCH: New Clip from ‘DIVERGENT’ of Tris in her Fear landscape! Entertainment Weekly has just shared an exclusive clip from Divergent of Tris in here fear landscape. Based on Veronica Roth’s best-selling novels and directed by Neil Burger, Divergent takes place in a future Chicago where all people are separated into distinct groups, or “factions,” by their particular strength or virtue. When they turn 16, everyone must choose which faction they will commit to for life—aided by a mandatory virtual-reality test that informs them where they supposedly belong. Beatrice “Tris” Prior (Woodley) discovers after her test results that she’s “divergent” and fits into more than one faction. Another benefit of being divergent? She’s able to tell the difference between a simulation and reality as you’ll see in this scene when she’s able to beat one of the “fear landscapes” she must endure as an initiate in her new faction, Dauntless. Categories: Divergent Movie, Divergent News, Shailene Woodley, Tris | Tags: divergent clip, divergent movie, Divergent news, shailene woodley, Tris | Permalink.